Wedding Table Trivia, Games and Fun ! 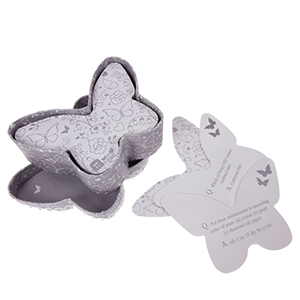 Cute table trivia games to keep your guests adults and children alike at the wedding reception. 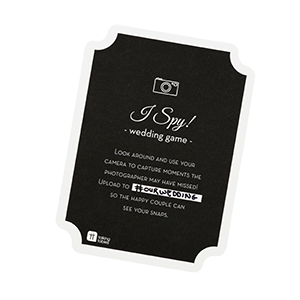 From 'I spy' games to quizzes they fill awkward moments and create a little fun! Start the conversation flowing with some table games and trivia. Games and trivia questions are great ice breakers, particularly useful at weddings when guests can find themselves seated next to somone they don't know. Even at the most incredibly well organised weddings there can be quieter periods of time just waiting for a game or quiz! Knowing your guests are engaged and having fun you'll be more relaxed and have even more fun yourself!